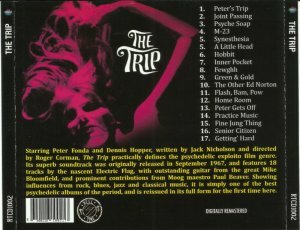 One of the greatest exploitation movies of all time, The Trip was the "vision" of Peter Fonda and Jack Nicholson (who wrote the original script). 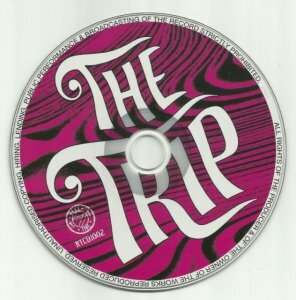 The finished film didn't turn out exactly the way Fonda and Nicholson wanted it to, but it certainly had it's moments...all in Psychedelic Color. This, the soundtrack, was pretty cool, too. It contains the first studio recordings of the Electric Flag, Michael Bloomfield's swaggering soul/jazz/rock ensemble. Writing and performing trippy music was a bit removed from this fine ensemble's area (they were, in fact, a serious and funky band), but they succeeded admirably. Considering that it came out on Mike Curb's Sidewalk Records (a Capitol subsidiary) and it was an American International film, one wonders if the Flag saw any dough from this? No matter, as some of the music is excellent. 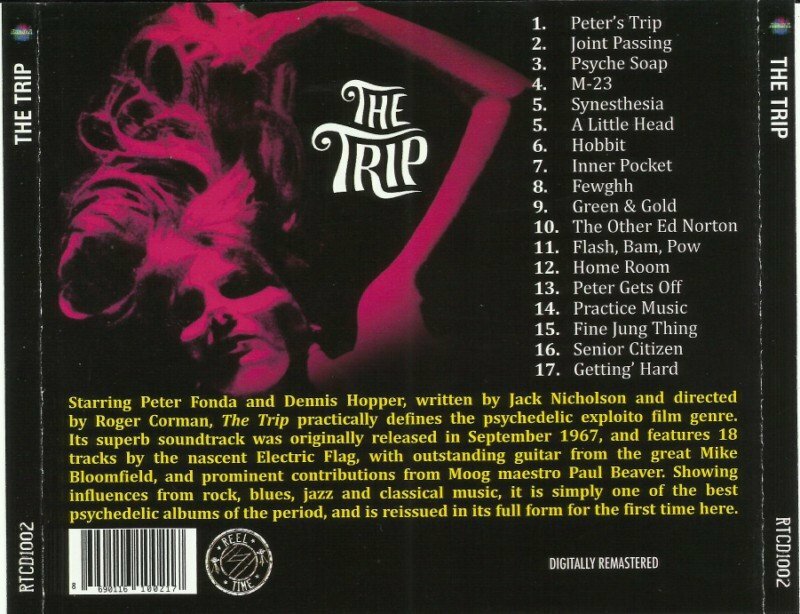 "Fine Jug Thing" and "Peter Gets Off" are wild, jazzy rockers, which perfectly score Fonda's Sunset Strip/trip adventures. The album's closer, "Gettin' Hard," is a variation on "Hoochie Coochie Man" and closes the album out in funky style. 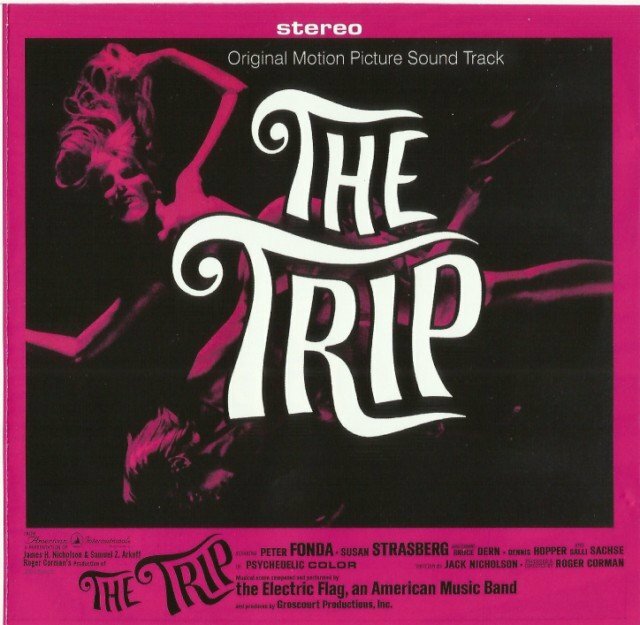 Also, there are a few early efforts from synthesizer pioneer Paul Beaver, such as "Synesthesia," which is quite similar to David Bowie's work on the Man Who Fell to Earth/Low projects -- eight years later.